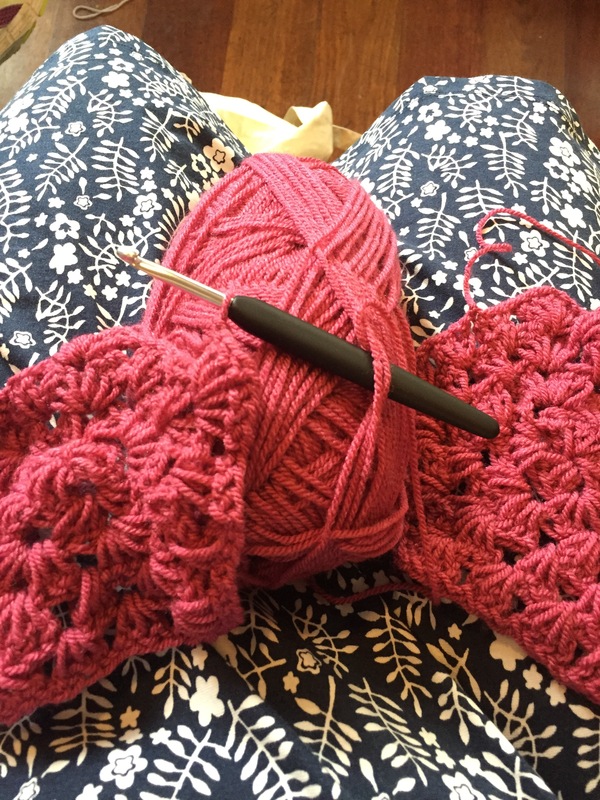 Crochet Faster When the Pressure's on! 15 New Tips. Crochet Faster When the Pressure's on! 15 New Tips. Sometimes you want to crochet. Sometimes you want to crochet faster. I have to crochet a granny square blanket in a month. This is definitely a self-imposed deadline. I don’t have to do anything. But I want to crochet a granny blankie in a month. And you know what? If I think I just might manage it. Can you use thicker yarn? Or even thicker than that? In the past, I’ve crocheted ripple blankets holding together 3 strands of yarn. Maybe do that? Don’t agonise for days over yarn choice. Get in, get your yarn, and get out. I used a pack from the Wool Warehouse. All the picking of colours was done for me! And I knew I’d end up with (approximately…) the right amount of yarn. When picking a pattern, keep it simple! I went with no patten at all, just simple granny hexes. And don’t aim for a giant blanket! Keep things lap-sized if you’re worried about time. Remember: larger motifs now mean less joining later. Definitely weave in ends as you go. Explore join-as-you-go techniques to cut down on finishing time. Be methodical. It won’t make you crochet faster, but it will give you lots of little deadlines (I’ve crocheted all the blue!) which can be motivating. Know where you’re at. I’ve crocheted 42/182 planned motifs. I’m 23% done! (Plus joining and edging…) Try and be realistic about how long the blanket will take… and readjust if you’re running short on time. Don’t forget to factor in joining and edging time. Take care of yourself. Take regular breaks, and if you’re going to be working for a while, support your wrists to take some of the strain. RSI is not to be messed with! Crochet every day. Half a motif may not seem like much, but they add up fast. Or: “Practise, practise, practise!” Just like every technique, speed can be learned. Set yourself a goal of speeding up your stitches. 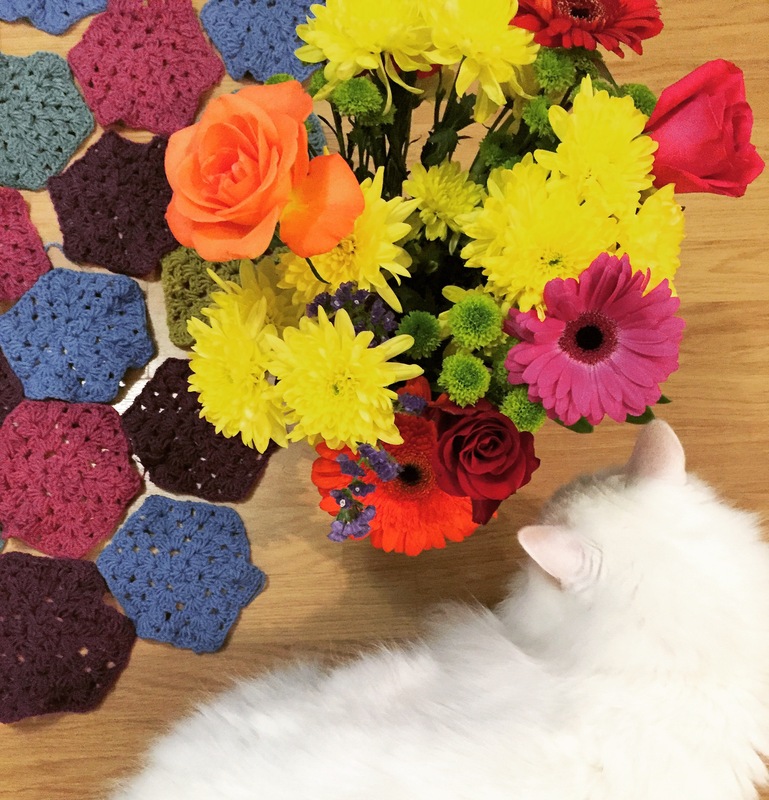 It’s only a crocheted blanket! Sure, it’s to celebrate a life-milestone, but I’m not giving my friend a kidney. If I miss my deadline, we’ll both go on breathing.